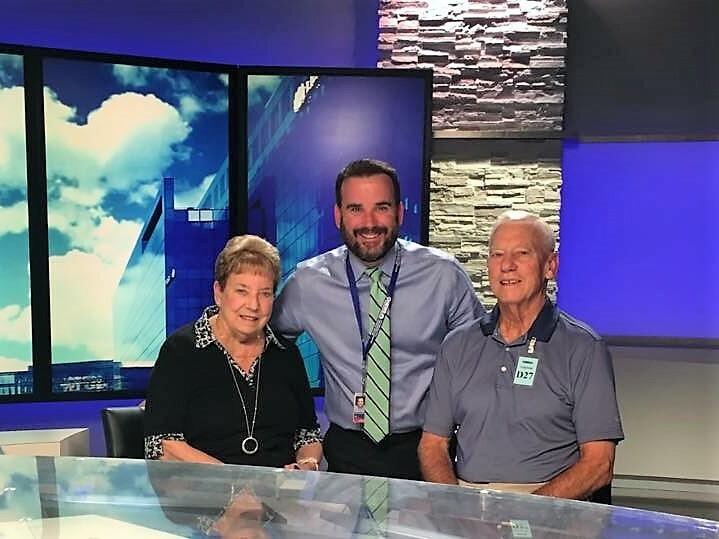 Chris Vanderveen is joined on the news set by his mother and uncle. As a journalist and investigative reporter for 9News, Chris Vanderveen has been recognized at the national level for coverage of the Aurora Theater Shooting, opiate abuse, and a query into the fuel lines of combusting helicopters that prompted a federal investigation. For these stories, Chris received Reporter of the Year awards from the National Press Photographers Association and a regional Edward R. Murrow Award. Chris’ inquisitiveness helped him earn a Boettcher Scholarship to attend CU Boulder, where he studied broadcast journalism and anchored the campus radio station. 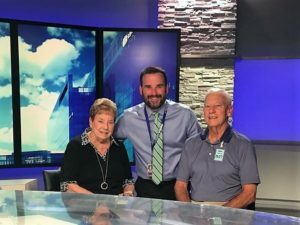 From there, he landed a job as a photographer in Casper, Wyoming, and soon was anchoring weekend newscasts. There, Chris realized a career in journalism was a match for his inherent curiosity and love of storytelling. One of Chris’ most memorable stories took place in 2010, when he met an Army veteran who had been shot in the neck in Iraq and paralyzed. Over the course of a year, Chris documented the veteran’s recovery and his dream to have children. The day Chris received a call that the veteran’s wife was pregnant with twins was “one of the coolest moments to capture” in his career. Sharing remarkable stories fuels Chris’ passion for journalism and service, even in the face of adversity. While many might perceive the current social and political environment as an obstacle for journalism, Chris sees a unique opportunity to discuss free speech and advocacy. One of the ways Chris employs his skills to give back to the community is as a board member for The Blue Bench, a sexual assault prevention and support center in Denver. As an advocate for victims and the father of a young daughter, Chris is optimistic about the direction of recent discussions and the #metoo movement. Looking back, Chris admits at the age of 18 he was unsure about accepting the scholarship, when his dream had been to attend a program out of state. Yet today, he is grateful for the financial freedom and the encouragement to give back to Colorado that the scholarship provided him.